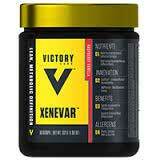 Xenevar Fat Burner is a sports supplement manufactured in the USA by Victory Labs. The company produces a number of other performance-enhancing supplements and the entire rage looks quite distinctive thanks to the consistent use of yellow and black packaging. Xenevar Fat Burner is sold as a powder and needs to mixed with water and consumed as a drink. The shakes offer a combination of energy enhancement and fat burning but, although it is bound to attract the attention of normal dieters who are trying to lose weight, it has to be remembered the product is intended for bodybuilders and other athletes who live high-octane lifestyles. Xenevar Fat Burner is unlikely to be the best option for anyone else. What is Xenevar Fat Burner and How Does it Work? The powder contains a blend of natural ingredients that have been chosen for their ability to boost the metabolism, increase energy levels, and encourage the burning of fat. It is likely to have much to offer to people who are already pursuing strenuous activities and exercising hard. Presuming a healthy diet is in place, such people will already be predisposed to begin burning their stores of fat. Xenevar Fat Burner should help this to happen sooner and boost normal results. When used during a cutting cycle, the powder offers obvious benefits, and the fact that the blend contains stimulants may help people intensify their level of activity in the gym. Caffeine: A proven fat burner that also has the ability to deliver extra energy and mental focus. Its added to Red Bull to help “give you wings”. In a blend such as this it should make it easier to give it your all in the gym. Raspberry Ketones: A phenol that is usually extracted from raspberries and can also be processed in a laboratory. Raspberry ketones has been shown to be capable of increasing lipolysis and fatty acid oxidation. It is also a well respected appetite suppressant. Garcinia Mangostana (mangosteen extract): A fruit extract. Garcinia mangostana is cultivated in Malaysia, Indonesia, and several other Asian countries. It is credited with many health-improving capabilities, but is unlikely to help anyone to lose weight. L-Carnitine Fumerate: A popular ingredient that provides the amino acid L-Carnitine, which has a science backed ability to banish feelings of fatigue. Guarana Seed Extract: Guarana is a tropical berry that is naturally high in caffeine. Guarana berry extract releases its load of caffeine more slowly than other ingredients. This allows it to offer the normal benefits of caffeine spread out over a longer period of time. OxyGold: A proprietary blend of fulvic acid that is high in antioxidants and has the ability to boost the effects of stimulants, nutrients and other ingredients. Ampiberry (Juniperus Communis): A trademark-protected extract taken from Juniperus communis berries. It’s believed to have diuretic capabilities, so its ability to reduce the level of water in the body may encourage a slight weight loss than may be mistaken for fat loss. On a more positive note, it may make the skin covering the muscles less puffy. This could improve definition—a definite bonus for anyone who is busy preparing for a bodybuilding competition. Usage Instructions – To make the shake, combine two scoops of Xenevar Fat Burner with 900ml of water and give it a good stir or shake. One shake is required each morning and a second one during the early afternoon. No side effects have been reported, but the product is not likely to be suitable for women who are pregnant or nursing a child. Anyone who has health problems that necessitate medication or a doctor’s supervision is advised to play it safe and seek medical approval before supplementation is commenced. Xenevar Fat Burner is available via a number of popular online stores, including MuscleCoach.com.au and Nutrition Warehouse. A tub provides 30 (2 scoop) servings and the price can range from $49 to $70, depending on the chosen supplier. Although the lack of information about ingredient quantities makes it hard to predict product potency, and the availability of so few customer reviews is also an issue, it seems likely that Xenevar Fat Burner will work well for anyone who is searching for a fat burning sports supplement. Normal dieters, who do not regularly engage in unduly athletic pursuits, will probably find it unsuitable for their needs and may be better off choosing a quality diet pill that will support their weight loss efforts in a number of different ways. 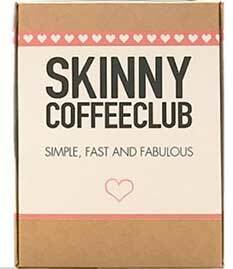 As the name suggests, Skinny Coffee Club is a coffee designed to help get you skinny. Any coffee capable of doing all that would be a good way to start the day, but a lot of customers say this alleged weigh loss coffee does not work, and it’s sold minus a guarantee. 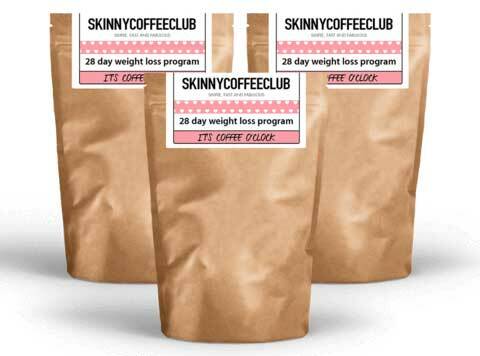 What is Skinny Coffee Club and How Does it Work? Skinny Coffee Club is a beverage that contains two kinds of coffee and several other natural ingredients, including green tea. 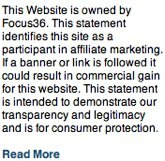 Although the manufacturer’s website is big on promises, it provides no useful information about how the product is supposed to do the things that are claimed. The “About Us” page on the official website does not reveal a lot, other than the fact that the person or people marketing the product believe they have revolutionized coffee drinking. We did some investigating and discovered the Skinny Coffee Club website registrant is from an individual based in Liverpool, UK. Ground Coffee: Apart from its flavour, coffee’s main virtue is it provides caffeine. People often drink coffee to wake themselves up and get extra energy. The caffeine it contains can provide this benefit. Caffeine is also a proven fat burner and one of the most commonly used diet pill ingredients in the world. Ground Green Coffee: Green coffee beans are lower in caffeine than coffee beans that have been roasted, but they are rich in the fat burning chemical chlorogenic acid. Garcinia Cambogia: The hydroxycitric acid (HCA) this fruit contains has a powerful appetite suppressing effect. It further assists weight loss by preventing the body from storing more fat. Siberian Ginseng: A respected medicinal herb that is good for the health and is often praised for its ability to enhance the libido. Spirulina: An algae that is sometimes credited with hunger controlling abilities and is alleged to be a fat burner as well. However, although its reputation is good, there does not appear to be any proof the ingredient works. Usage Instructions – Take one cup a day, 20 minutes before breakfast. Boost the results with diet and exercise, preferably by using the free Skinny Coffee Club weight loss programs. The drink has to be made in a cafetiere, so anyone who does not own one already will have the additional expense of buying one specially to brew their Skinny Coffee Club. No side effects have been reported, but women who are pregnant or nursing a child are advised to check with their GP before using Skinny Coffee Club. People who have existing health issues would be wise to do the same. 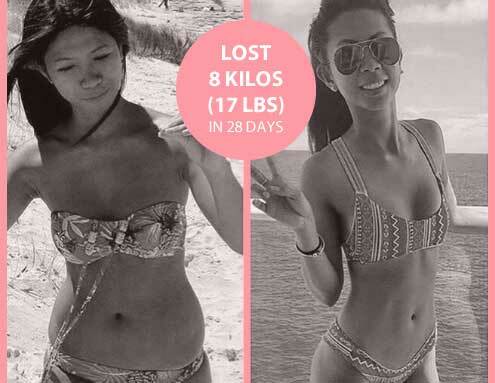 It’s possible to buy a 28-day supply of Skinny Coffee Club from directly from the manufacturer’s website. We find it hard to believe this coffee will do all the things it is claimed to do, but it contains some valid weight loss ingredients. The big question is, does it contain enough? Customer reviews are of such a mixed nature, they fail to provide any usable insight. We strongly suspect the people who did lose weight may have done so because they used the coffee with strict diet and exercise, but it’s an educated guess at best and the lack of a guarantee makes Skinny Coffee Club a pretty chancy option. Why anyone would choose to take a chance on it is beyond us, when there are more credible options available. 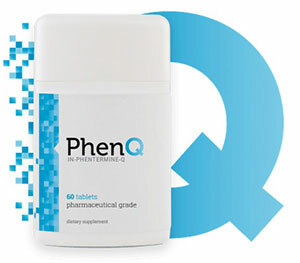 We recommend PhenQ – a completely different kind of weight loss product, a capsule based fat burner that can also help to block fat and suppress appetite. PhenQ is without gimmick – it pretty much does what it says on the tin.